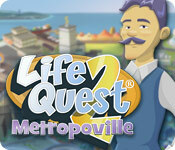 Life Quest 2 is rated 4.3 out of 5 by 181. Rated 5 out of 5 by mlsandd from I want more games like this! I have played this over and over again to challenge myself and I enjoy it every time. Rated 5 out of 5 by Meg_G from Excellent Excellent, ADDICTIVE, LOVE IT. Rated 5 out of 5 by IslandTiki from Love games with replayability I liked the graphics of the first Life Quest more than this one, for some reason. The change in the way the game is played slightly and the different graphics does add a new twist to the game. I think the Life Quest games give you more bang for your buck because they are very replayable. And you can be someone completely different each time around. Rated 5 out of 5 by glo4747 from Overall a very solid and fun game Lots of fun. Great time management/strategy game. Allows for replay as different career channels and simple enough for anyone to understand, play and find entertaining. Rated 5 out of 5 by jhamindybean from My most favorite game! I've been playing games at BF since 2012 and I must own over 100 games by now. Yet there are only 5 that I would consider unique, re-playable and really fun and the Life Quest games are at the top of my list, followed by Hero of the kingdom 1 and 2 and last but not least MCF's Fates Carnival. Oh and I should give an honorable mention to City of Fools. But all these games have been made years ago and I'm left wondering why all the games put out by BF in the last couple of years have been cookie cutter HOG's with the odd TM thrown in. I'm sick of dark dreary HOG's and I know I'm not the only one. Please BF put some variety back in your games. Rated 5 out of 5 by Bumpyroads from Need more like this one Love this game and the diversity of game play from one play to the next. 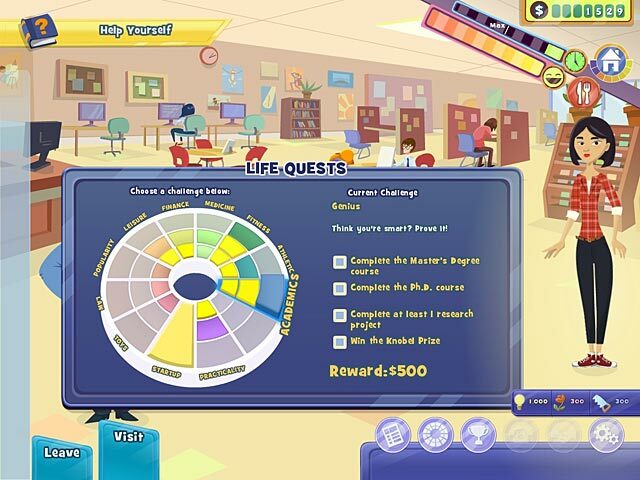 The thing I really hate is that unlike the original Life Quest is how unattractive they made this game. The color chart pales in comparison to the original and the graphics couldn't be more disappointing. It is just downright visually ugly! Make this one visually appealing like the first one and it would be the best one ever.